The lineup is an embarassment of riches at The Brattle Theatre this weekend. But personally we’re most excited for Saturday’s Double Feature of Francois Truffaut’s JULES AND JIM, paired with Jean-Luc Godard’s VIVRE SA VIE. In fact, if you catch the afternoon shows, you just might find a fair portion of our membership sitting in the front row, bickering amongst ourselves. 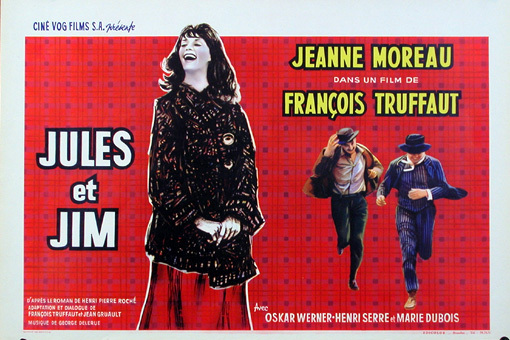 This entry was posted in Repertory Picks and tagged Brattle Theatre, Jules et Jim, Vivre Sa Vie by bofca. Bookmark the permalink.